Chicago, IL and West Lebanon, NH – The Vascular Quality Initiative (VQI) has been approved by Centers for Medicare & Medicaid Services (CMS) as a Qualified Clinical Data Registry (QCDR) for 2018. The 2018 VQI QCDR program includes 25 measures for reporting. This is the 10th consecutive year that the VQI has been involved in CMS’s PQRS program, and the 4th year that the VQI has been an approved QCDR. To be considered a QCDR, an entity must self-nominate and successfully complete a qualification process. 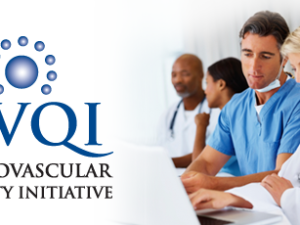 The VQI, a joint venture of the Society for Vascular Surgery (SVS) and M2S Inc., gathers data from a network of over 450 health centers and medical offices, allowing for meaningful benchmarking, comparison and insights at a national level. Under the Merit-Based Incentive Payment System (MIPS), there are several data submission methods, one of which is a QCDR. The VQI QCDR collects clinical data from individual MIPS clinicians and submits it to CMS on their behalf for purposes of MIPS. In addition to 12 MIPS Quality measures, participants have the opportunity to choose from 13 custom QCDR measures developed by the VQI that also count toward participation. As both a Patient Safety Organization and a QCDR, the VQI QCDR is uniquely positioned to help participants satisfy MIPS requirements and receive up to a 5% payment adjustment in the 2020 calendar year resulting from their 2018 data submission. Current VQI members will be contacted in Q1 for enrollment in the 2018 VQI QCDR. Interested parties can contact vqi@m2s.com to sign up for the VQI. The Vascular Quality Initiative, a joint venture of M2S Inc. and the Society for Vascular Surgery, collects and analyzes data to improve the quality of vascular care. Currently, the VQI has more than 450 facilities and 3,000 physicians participating, and 430,000+ vascular procedures reported. Its 12 clinical registries are Carotid Endarterectomy, Carotid Artery Stenting, Open AAA Repair, Endovascular AAA Repair, TEVAR and Complex EVAR, Infra-Inguinal Bypass, Supra-Inguinal Bypass, Lower Extremity Amputation, Peripheral Vascular Intervention, Hemodialysis Access, Inferior Vena Cava Filter and Varicose Vein. VQI is a collaboration between regional groups that use a Patient Safety Organization and the M2S PATHWAYS cloud-based system.